​They started by doing the necessary, then the possible and finally doing the impossible. The musical journey of 2iice began in 2011 when they auditioned at Stars Of The Future reality show. Born Jesse and Joel Sarpong widely known as 2iice because they are twins with their clique as Cyaan Dan Family. Cyaan Dan is a Jamaican phrase which means can’t stop. The identical twins originates from dancehall but they do all kinds of music. They also double up as seasoning songwriters, models and fashion stylists. Low and behold, God in his mysterious ways of performing miracles connected them to notable producer Mix Master Garzy who doubles as CEO of 2MG Music and officially signed under his label. This is their official debut single Nah Beg with a video. 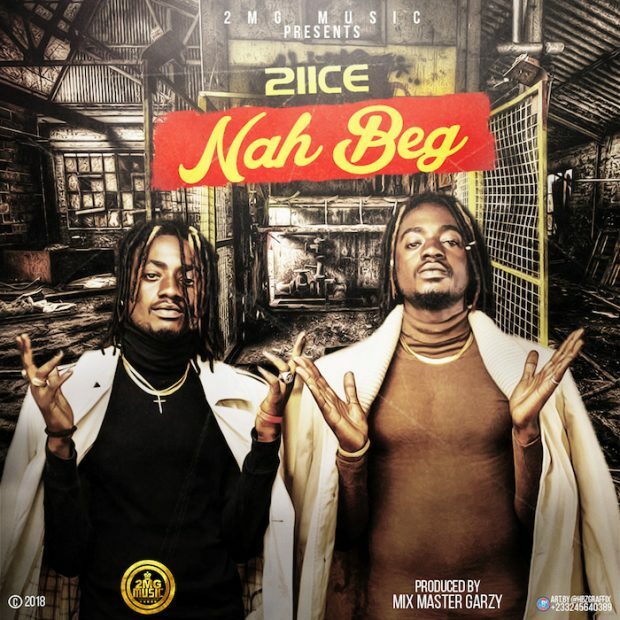 According to them, Nah Beg carries strong motivational message to trigger the masses to work hard to maintain a comfortable standard of living instead of begging to survive the test of time.